A key piece of strength training equipment for any gym or personal trainer studio, large or small is the weight bench. Weight benches play a crucial part in any weight training program with modern benches allowing you to train at any angle, focus on almost any muscle and aid in reducing the risk of injury. 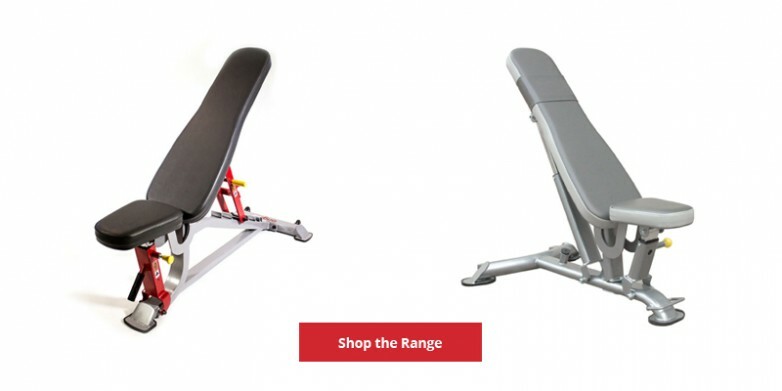 In this weight bench buyers guide we will explain the different types of benches that are purpose built for use in a gym or studio. 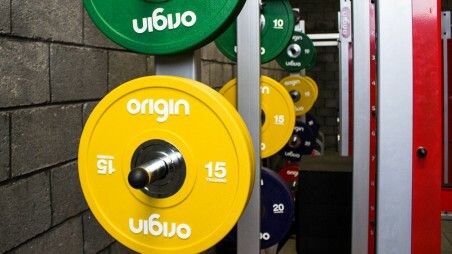 If this guide doesn't help you choose the bench that's right for you then get in touch with us via hello@originfitness.com, where one of our experts will answer any of your weight bench related questions. 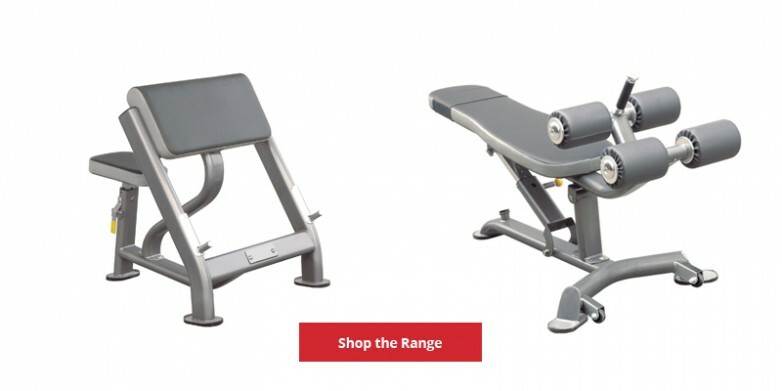 An adjustable weight bench typically has a simple frame design with one of two different adjustment mechanisms: pop-pin or steps. 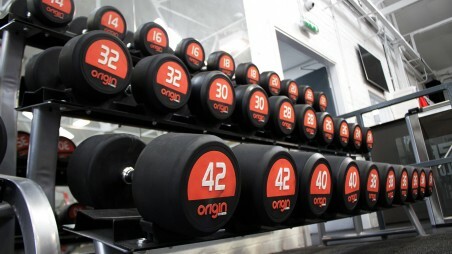 The range of level adjustment provides a wide range of workout options as part of a basic dumbbell routine. Although not built for compound heavy lifting on their own, most models come with handles and wheels for easy movement in and out of racks. An example of this kind of bench would be the Origin Fitness Multi Adjustable Bench. This is ideal for both a commercial gym or home environment. It's -10° to +80° options (in seven steps) enables incline, flat, and decline workouts allowing users to target specific muscle groups. This second type of bench is more straightforward but provides a reliable and popular option for certain exercises. When performing flat bench presses and moves that don't require elevation, then a flat bench would be the ideal choice for your gym. With it’s fixed position you have guaranteed stability and reduced risk of having to carry out maintenance on hinges and moving components. The flat bench will be a predetermined height from the ground which is usually lower than that of an adjustable or incline/decline bench. The flat bench also comes with a single, solid deck meaning there's no gap where the hinge on an adjustable one is located. While flat benches are fixed in height and angle, they are normally easy to transport with wheels, handles or both. Olympic Benches are a popular option for both home and commercial buyers for a few reasons. They have a built in racking system, which tends to be safer than just using a bench and squat stand together and secondly, they remove the need for people to place benches in power or half racks and designate space for the various bench press variations. One drawback is that as well as having a fixed racking system, they tend to have a fixed angle (either flat, incline or decline). Like a flat bench, Olympic benches are reliable pieces of equipment that have few moving parts and thus a low maintenance requirement. Other benefits include it's size - accommodating a 7ft Olympic bar and often plate storage racking to the rear of the machine. 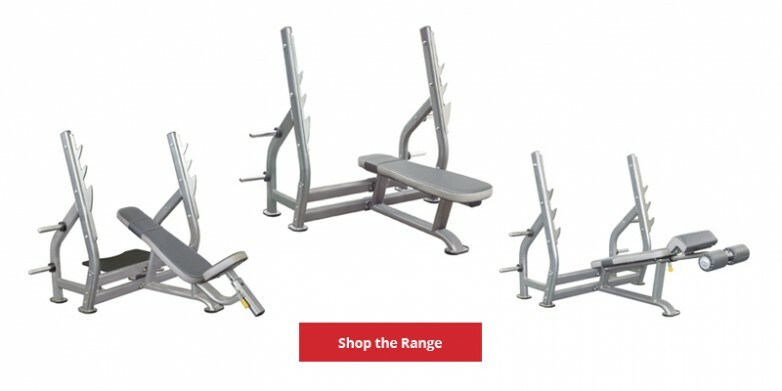 For a facility looking to add something extra to their free weights area, there are a variety of specialist bench options on the market which are less geared towards all around versatility and are instead focused on specific exercises, movement types or muscle groups. One example of this would be a preacher curl seat or bench. This machine is great for isolating the biceps when performing curls. It removes the ability to lift with the hips, back or shoulders - all of which are common mistakes. Another widely available specialist bench type is the abdominal bench. These are great for incline and decline exercises, with comfortable padded foot rests to hold the legs securely. 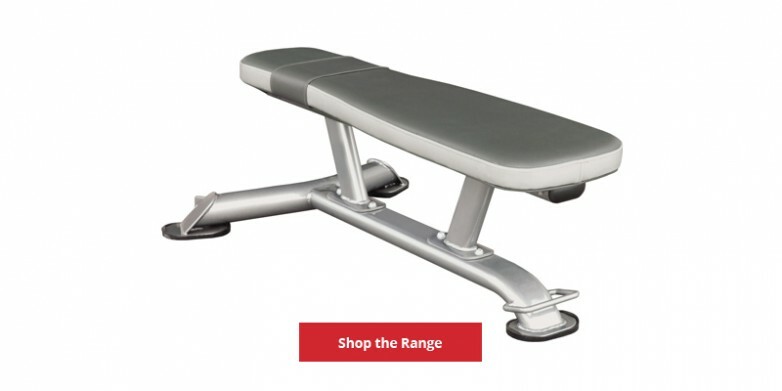 This entry was posted in Buying Guides, Knowledge & Advice and tagged weight bench, buyers guide, buying guide, adjustable benches, flat benches, olympic benches, incline bench on 6th November, 2015 by Craig Fleming.